Justin (we call him Poogee) is my 4 year old son. He enjoys working with dad and also wants so bad to drive a car like his brothers. Poogee now will have his own car. hummmm OK it is a truck but it won't matter to him I bet. 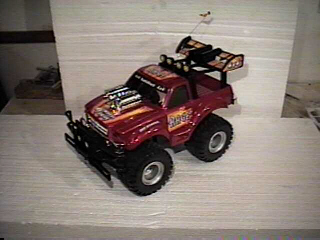 Below is his new truck and note the last picture. 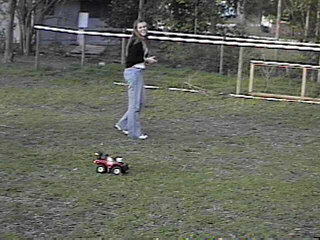 It is of Stephanie playing with Poogee's truck out in the backyard. 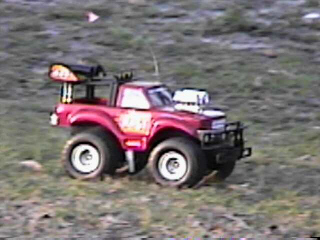 hummmm Maybe I should get Stephanie a truck to! Wide open in the backyard! 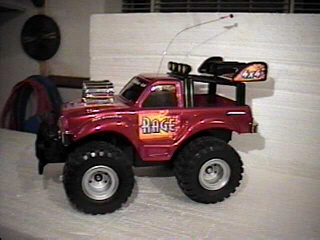 Here is a front shot of Poogee's truck! 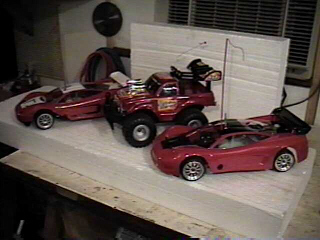 The truck pictured with two of the Traxxas cars! Here is Stephanie. I cought her playing with Poogees truck in the backyard.